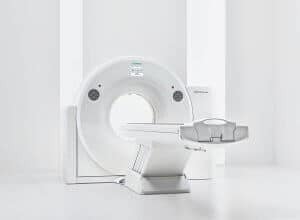 A major focus in the improvement of CT scanners is to increase the speed. The faster a tomograph works, the less movements of the body falling into weight. Highly detailed images of the beating heart are possible with today’s equipment. For you, this means that the study does not take as long and repeated recordings are rare. By the way: The latest high-performance scanner SOMATOM Definition Flash creates a complete scan of the thorax including heart in just 0,6 seconds. 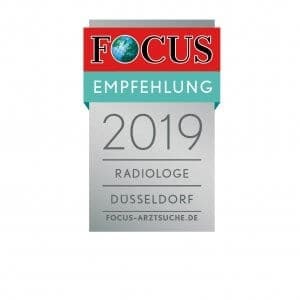 In addition, a cardiac examination are already carried out with a radiation dose of less than one millisievert – the natural, annual radiation dose in Germany is about 2 to 5 mSv. However, the main objective of the engineers is now reducing the required radiation dose in CT scans. This is achieved on the one hand of new materials, to another via intelligent control programs. Special software can, for example, contorl modern computer tomograph so that only absolutely necessary X-rays are used for a maintaining image quality. Particularly radiosensitive organs are thereby selectively additionally protected.